Monarch Air Group provides private air charter in Detroit, MI. Our clients benefit from top-notch service, unrelenting dedication to safety, wide selection of aircraft, and years of experience in chartering private jets. To obtain a free quote, please use our online quoting tool provided below, or call toll free 1-877-281-3051. 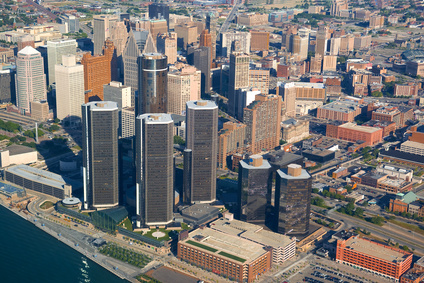 Monarch Air Group offers private jet charter services to and from Detroit, MI USA. The largest city in the US state of Michigan is Detroit. It serves as a major port on the Detroit River. Known as the world’s traditional automotive center, Detroit is the center of new developments and attractions, beautiful museums and theatres. Being the most exciting tourists destination in Michigan, Detroit has many things to do and to see, technologically advanced buildings, and historic fascination. 1. ADG, Lenawee County, Adrian, United States. 2. ARB, Municipal, Ann Arbor, MI, United States. 3. DEO, Hyatt Regency H/P, Dearborn, United States. 4. DET, Detroit City, Detroit, United States. 5. DTR, Decatur Island, Decatur Island, United States. 6. DTW, Detroit Metropolitan Wayne County, Detroit, MI, United States. 7. FNT, Bishop International Airport, Flint, United States. 8. PHN, St Clair County Intl, Port Huron, United States. 9. PTK, Pontiac, Pontiac, United States. 10. SKY, Griffing Sandusky, Sandusky, United States. 11. TDZ, Toledo, Toledo, United States. 12. TOL, Toledo Express, Toledo, OH, United States. 13. XCM, Chatham, Chatham, Canada. 14. YIP, Willow Run, Detroit, MI, United States. 15. YQG, Windsor, Windsor, Canada. 16. YZR, Sarnia, Sarnia, Canada. 1. Atheneum Suite Hotel, 1000 Brush Street, Detroit. 2. Roberts RiverWalk Hotel and Residence Detroit, 1000 River Place, Detroit. 3. Caesars Windsor Hotel & Casino, 377 Riverside Drive East, Windsor. 4. Atheneum Suite Hotel, 1000 Brush Street, Detroit. 5. D Tour:Motor City Casino, 2901 Grand River Avenue, Detroit. 6. DoubleTree Suites by Hilton Hotel Detroit Downtown – Fort Shelby, 525 West Lafayette Blvd, Detroit. 7. Milner Hotels, 1538 Centre Street, Detroit. 8. Detroit Marriott at the Renaissance Center, Renaissance Center – 400 Renaissance DR, Detroit. 9. Greektown Casino, 555 E Lafayette Blvd, Detroit. 10. Caesars Windsor Hotel & Casino, 377 Riverside Drive East, Windsor.